Sail away to your private island paradise aboard Aristocat, luxury 64ft sailing catamaran with Bali Hai Cruises. After a scenic 45 minute cruise you will arrive at the remote tropical island of Penida. Upon arrival you will have the opportunity to snorkel some Indonesia’s best coral reefs teeming with tropical marine life. For those of you looking to simply relax the open deck provides plenty of space to soak up some rays from start to finish. The friendly crew will always be at hand to serve an assortment of refreshing drinks. There is no better way to spend the day! 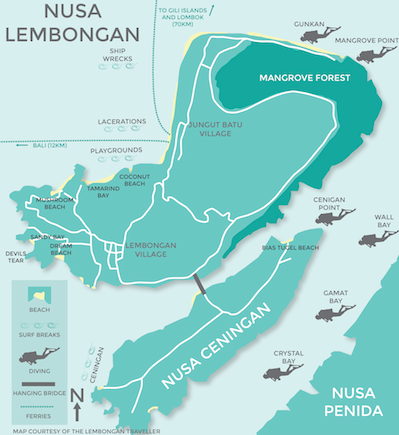 Operates: 7 days a week with pick up time from your hotel on Nusa Lembongan is between 10 – 10.30am.